Clean, White teeth are a crucial are essential elements of your personality and symbol of healthy oral hygiene. Let’s discuss some top tips that can help you to attain sparkling white teeth. The dullness of teeth color is the result of enzyme reactions that take place in your mouth. There are some foods that are considered as white teeth food. Red wine, black tea, colas, tinted juices and cigarettes are the top causes of dullness. You need to brush your teeth immediately if you consume any of these. However, consuming fresh fruits like apple, grapes and orange, green leafy vegetables, salads and proper home cooked diet would increase the chances of keeping your teeth white. Raw carrots, apples, popcorn and oranges are considered as teeth cleaning food. Cleaning your teeth includes flossing and brushing. You should, at least, perform these steps two times a day to keep your teeth healthy and away from yellowish tint. Proper cleaning requires a soft bristled brush and certified toothpaste. The cleaning motion should be circular. Do not go harsh on gums and teeth. Instead, be gentle and focus on essential areas like teeth joints and chewing surface. Teeth cleaning is not enough to maintain a good oral hygiene. Germs reside on the tongue and may react with your teeth and affects its colour. You can use the tongue scraper to remove the plaque. The brush can also be used to clean it back and forth. Make sure your gargle well with water after it. We often consume eatable throughout the day. Keeping a gargle liquid in you bag would be a great idea. Mint gargles are widely popular and can be easily availed through any medical store. Read the ingredients and make sure that the liquid is alcohol-free. Every time you eat or chew something; you can gargle the mouth. It would help keeping the germs away and keeping the breath fresh. Dentist in Chatswood is always there to take care of your dental health. If nothing works out, give your dentist a chance. Dentists are specialised in whitening the teeth. Along with it, they can suggest you proper dental care tips. Your appearance makes the first impression on people, and your bright smile can become an engaging factor. No matter how good you take care of health and hygiene, white teeth improve your confidence level among the people and adds a positive impact on them. For advanced oral and teeth issues, you can always seek for a professional dentist in Chatswood. You may refer to your friends and family who have had taken the teeth treatment earlier. Comment on "Top 5 tips on how to achieve sparkling white teeth"
I have been trying to whiten my teeth by myself for several months. Although I have seen a slight difference, I think I will talk with a dentist to have them professionally whitened. I’ll keep gargling after each meal though because I like the fresh feeling afterward. Thanks for the professional dentist tips. My pleasure! Glad to see that you found the tips useful. These are probably the most important lifestyle habits to achieve healthy oral hygiene. Yes with these tips you will notice difference in the colour of your teeth over a period of time. Professional whitening will get you there faster. However implementing these lifestyle changes will also help ensure that your professionally whitened teeth stay whiter for longer. 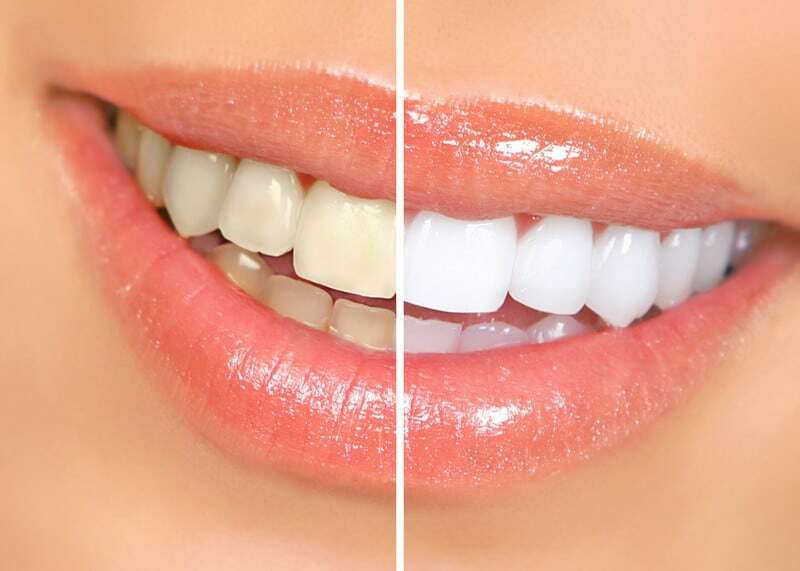 Please do not hesitate to contact us on 02 9419 5506 if you would like a consultation on how you can achieve whiter teeth with professional treatment. And if you have a private health fund, this consultation is bulk-billed with your health fund. I have always known that you should brush twice a day, but I had no idea that you were supposed to floss twice a day as well. I have always tried to keep my teeth healthy, but I will usually forget to floss. I will have to start making it a habit so that my teeth don’t turn yellow. I was taught to brush my teeth with salt to whiten them. It never really worked.